At the start of January, when the newspapers published pictures of starving children in the besieged town of Madaya, Christopher Bridges started a petition calling on the UK Government to start air drops to besieged communities across Syria. His petition gathered over 60,000 signatures, and then the Assad regime relented, and let an aid convoy through to Madaya. Newspapers and TV moved on to other stories. But Madaya is still under siege. Even though some food aid has reached the town, the Assad regime and its allies Hezbollah still block medical aid from reaching the town, and they still block medical evacuations. People are still dying in Madaya, from the effects of malnutrition, and from untreated injuries from landmines laid around the town. Other besieged towns are faring even worse. 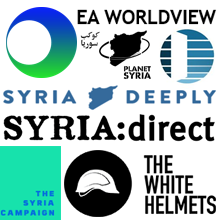 The Cessation of Hostilities was supposed to allow aid to all besieged communities, but the Assad regime is still blocking most aid to besieged areas across Syria, and even when they let in food aid, the Assad regime removes medical aid from convoys. Now the women of Daraya, in a neighbourhood only a short drive from central Damascus, are calling on the world for help. Demonstrating in the ruins left by Assad’s air force, they are calling for food not bombs. Women’s campaign groups in the UK are supporting them. Since then we have seen the World Food Programme drop food to Deir Ezzor in Syria, a town under siege from ISIS. This clearly demonstrates that aid drops are possible. 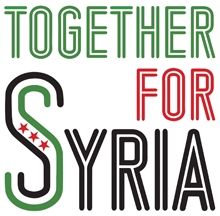 If aid can be dropped to a town besieged by ISIS, it can be dropped to the many communities being besieged by Assad. Signing this petition can make a real difference. 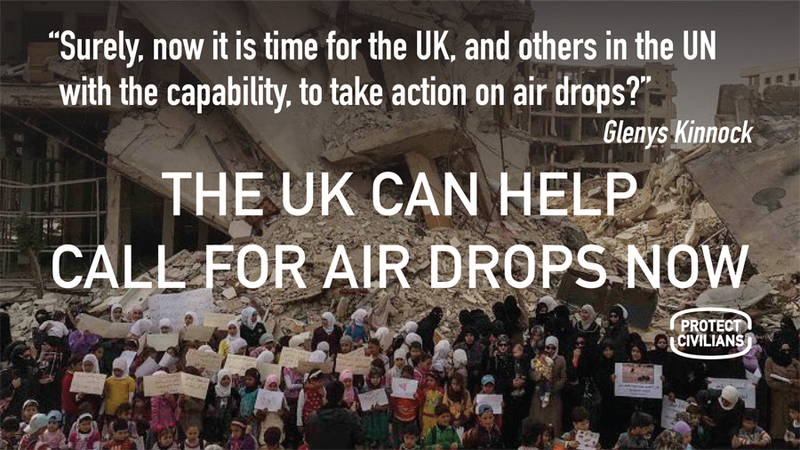 Air drops have been supported by individual backbenchers from all sides of the House of Commons. 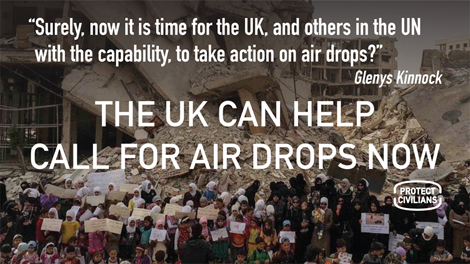 If Christopher’s petition to the UK Government passes 100,000 then air drops will be debated in Parliament.